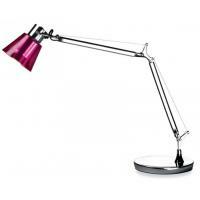 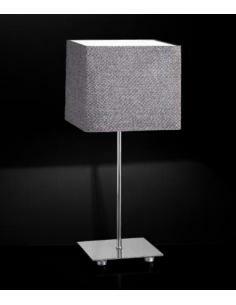 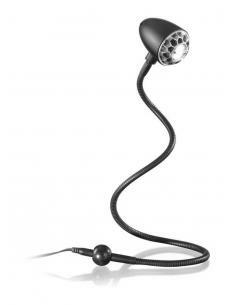 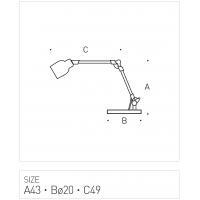 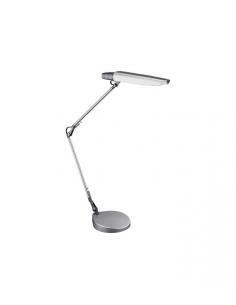 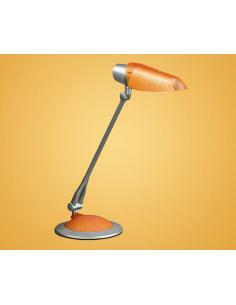 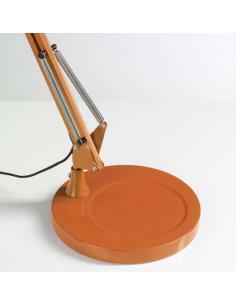 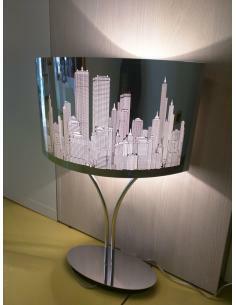 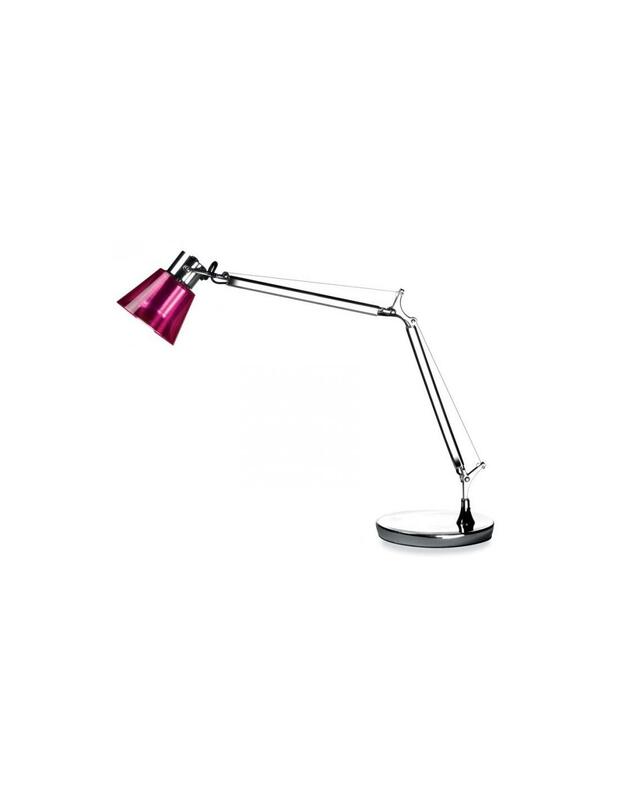 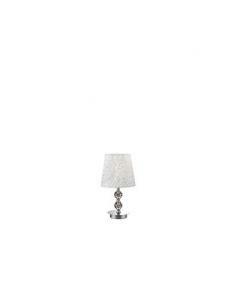 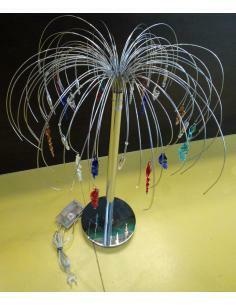 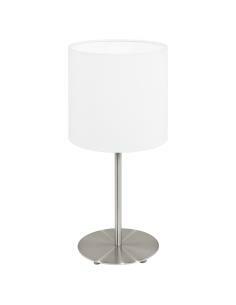 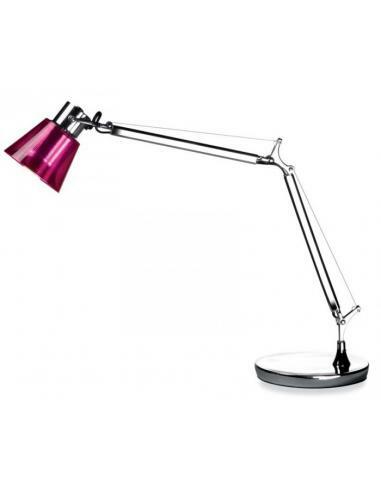 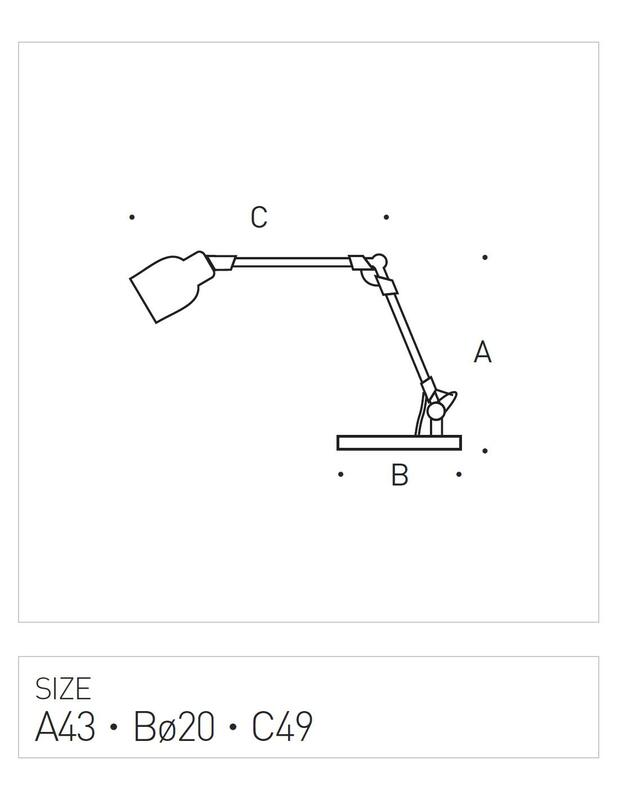 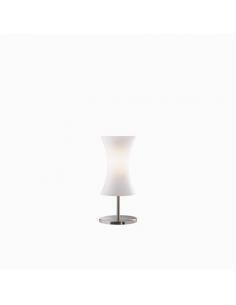 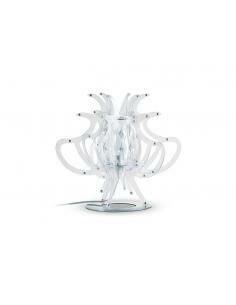 Table lamp in metal with adjustable arm. 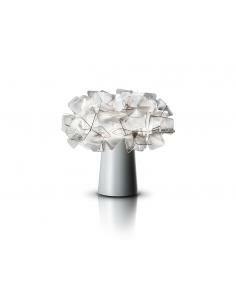 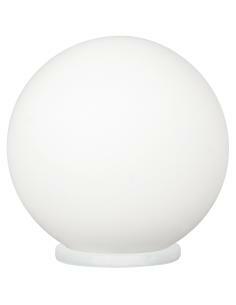 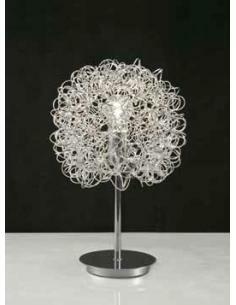 Diffuser in thermoplastic colorful and reflector, aluminum interior. 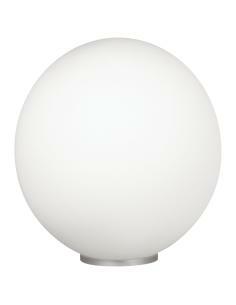 Body is light with ceramic enamel. 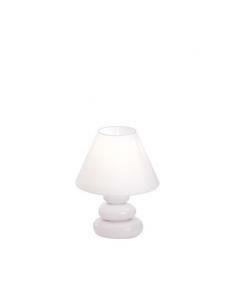 Lampshade sheet PVC coated colorful fabric.